A new paper is out from Prof. Chris Rissell at the Sydney School of Public Health at the U of Sydney. Repealing Australia's archaeic helmet laws, and following the example of Israel and Mexico City - would cause a massive boom in cycling levels. Cycling levels in Sydney could more than double if laws forcing cyclists to wear helmets were repealed, according to a new research published today in the Health Promotion Journal of Australia. One in five adults surveyed in Sydney said they would ride a bicycle more if they did not have to wear a helmet, according co-author Professor Chris Rissel from the School of Public Health, at the University of Sydney. Researchers involved in ‘The possible effect on frequency of cycling if mandatory bicycle helmet legislation was repealed in Sydney, Australia: a cross sectional survey’ interviewed 600 hundred Sydney adults to identify preferences for wearing bicycle helmets. “People who ride occasionally and younger people were most likely to say they would ride more if they didn’t have to wear a helmet, but significantly, one in five people who hadn’t ridden a bicycle in the last year also said they would ride more,” says Professor Rissel. 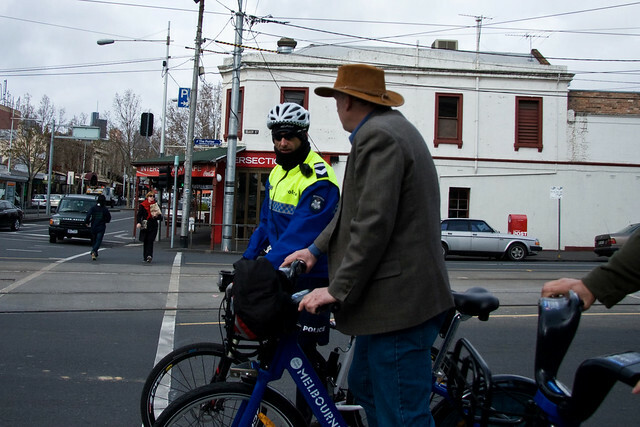 Professor Rissel says that the NSW state government’s targets to increase cycling could be easily achieved by repealing bicycle helmet legislation without spending millions of dollars on new bicycle paths. “Occasional riders and those people who don’t see themselves as a ‘cyclist’ represents a large number of people. Even if only half or a quarter of these people did actually start riding, it would more than double the number of people cycling now,” Professor Rissel says. The research also found that almost half of the respondents said they would never ride without a helmet. While more than 14 percent said “all the time”, and over 30 percent said “some of the time”, the rest were unsure. Support for mandatory helmet wearing was low among people already cycling according to Professor Rissel. “Overall, one third of respondents did not support mandatory helmet legislation. There was an inverse association between riding frequency and support of the helmet legislation, with those not riding in the past year most likely to support helmet legislation, and more frequent riders less likely to support it,” he says. Professor Rissel said that lots of people would still wear a helmet, but removing the legal requirement to wear a helmet would encourage more people to just hop on a bike. “Public bicycle share schemes around the world where helmets are not required to been worn have shown how safe cycling really is,” says Professor Rissel. There are similar observations from other schemes. The bike share schemes in Brisbane and Melbourne are operating at 10 percent of comparable international schemes because of helmet legislation. One in five (22.6%, 95% CI 18.8-26.4%) respondents said they would cycle more if they did not have to wear a helmet, particularly occasional cyclists (40.4% of those who had cycled in the past week and 33.1% of those who had cycled in the past month). Almost half (47.6%) of respondents said they would never ride without a helmet, 14.4% said ‘all the time’, 30.4% said ‘some of the time’ and the rest were not sure. One third (32.7%, 95% CI 28.5-37.0%) of respondents did not support mandatory helmet legislation. The possible effect on frequency of cycling if mandatory bicycle helmet legislation was repealed in Sydney, Australia: a cross sectional survey - Chris Rissel and Li Ming Wen.